Do you want to try your hand at growing a few grains, but are afraid you do not have enough space for what you want? Fear not, as many types of grains can be grown in a small area. If you can grow corn in a garden, then you can easily grow grains to use for food. You will need to prepare an area of your yard or till up a section of your garden. A good option for you to grow grains successfully is to build raised beds for various grains you want to grow. Another option is to plant seeds in a plot dedicated for grains. 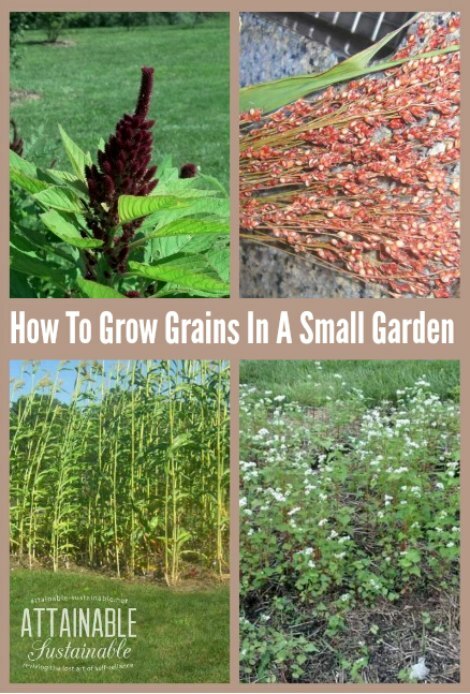 There are many ways for you to grow grains in a small garden. This will include preparing the bed or plot where you want to plant your seeds. Weeds may also be a problem you may encounter along with the method to use for harvesting your crop.